If you are perplexed with the new superfood in town – Moringa then you are not alone. If you are considering Moringa as the newbie in the diet trends, then this article is for you. Moringa has been present in our day to day lives for ages and has been used by Ayurveda in numerous medicines. It is a native plant to India and is grown in Himalayas. It is also known as Drumsticks and used in many recipes to enhance flavor. You can reap unlimited benefits if taken in its natural form. The western world is yet to discover the many benefits Moringa can provide. It is a multipurpose plant and its leaves, pods, fruits, flowers, roots, and bark are beneficial in one way or the other. Moringa is also called Miracle Moringa, The Never Die Tree, Tree of Life, the Vitamin Tree. 1. 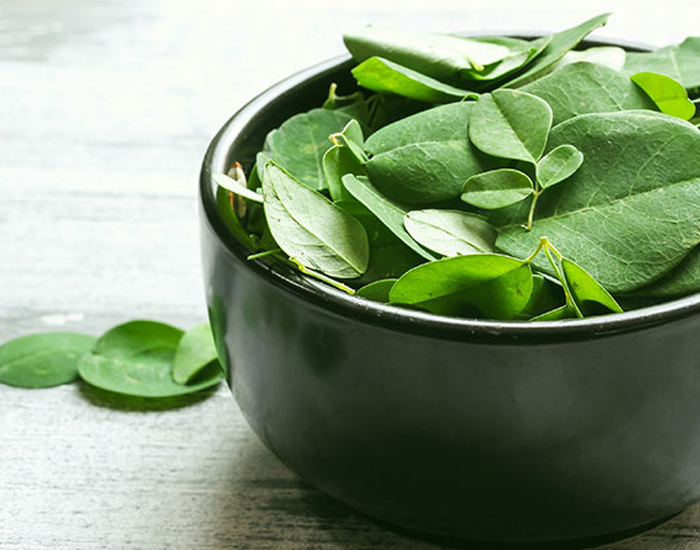 Moringa leaves are edible and contain three times more iron than spinach. It is a good option for anemic patients. 2. Moringa seeds can be turned into Ben oil, which has similar properties to that of olive oil. It has an indefinite shelf life too. 3. Moringa is a superb source of protein. Vegans and vegetarians can easily add Moringa to boost their protein intake. It is a complete protein source and contains all 9 essential amino acids required that our body cannot process on its own. 4. It is anti-inflammatory and helps reducing sugar levels, heals ulcers, restricts tumors, and maintains normal blood pressure. Moringa is a super source of anti-oxidants as well. 5. It improves body’s defense mechanism and makes it stronger and healthier. 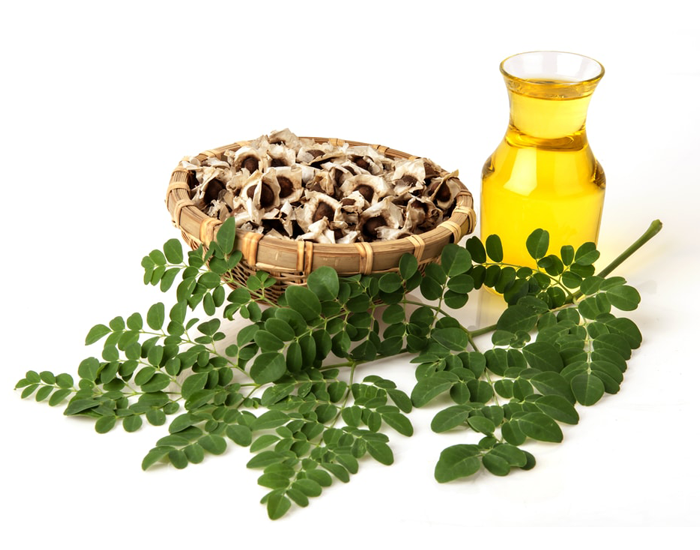 Moringa is an immune stimulant and is often prescribed for AIDS afflicted patients. 6. One of the vitamins we get in abundance is vitamin A, which acts as a savior for eyes against blindness. 7. Consumption of Moringa can significantly improve breast milk in lactating mothers. 8. Moringa flowers are boiled into the water and made into tea, which is believed to fight colds. 9. Consumption of Moringa leaves stimulates metabolism and cell structure of the body. 10. This plant also has several antibacterial properties and hence can be used as a purifier and as a natural detoxifier. No side effects of Moringa have been reported till now. It is used in various delicacies to increase the nutrient content of the meal. 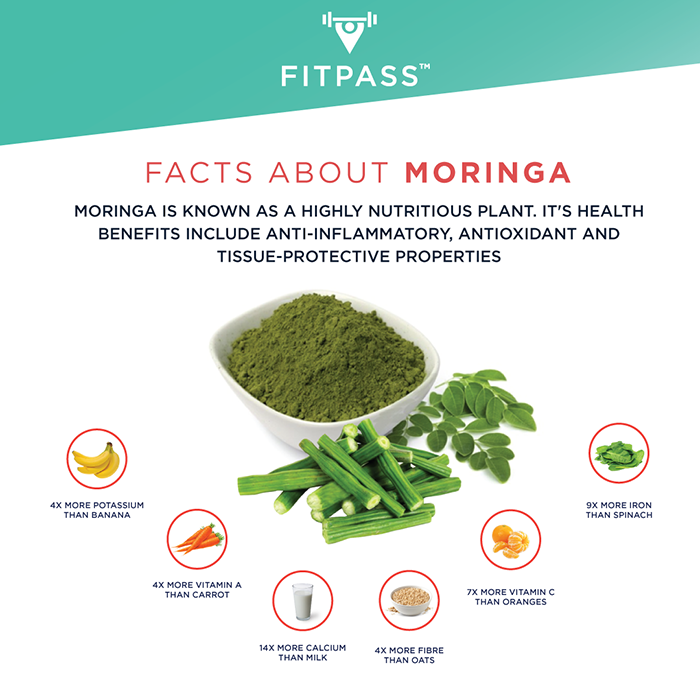 We recommend taking Moringa to complete our body’s nutritional requirements than taking any artificial supplements. Get fit with just a tap.